How many of you have felt frustrated at work? Often these feelings come after an interaction with another employee whether they are a peer, a subordinate or a leader. Thinking about the time that frustration, how many of you have taken a step back to think about the other persons perspective and analyzed the comment or situation with curiosity instead of letting it fester for the rest of the day, week or even longer? The answer is probably not often which is why I’m writing a review on this book. 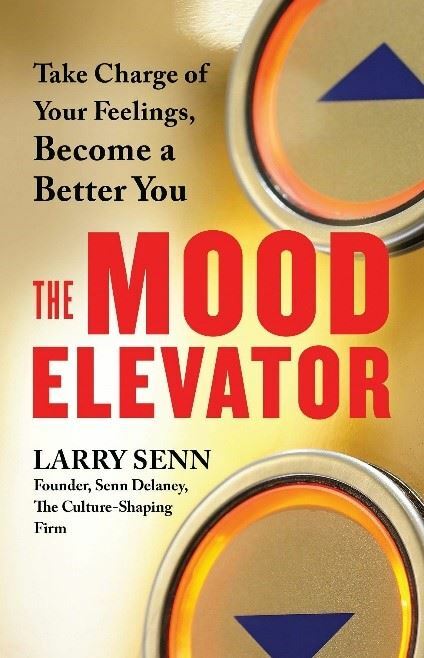 The Mood Elevator is a concept developed by Larry Senn and his organization, Senn Delaney. Senn Delaney is a culture-shaping organization that helps other organizations redefine who they are and what they want to be to become better employees, better managers, and better organizations. I was first introduced to the concept of the Mood Elevator and Senn Delaney when I attended a culture-shaping workshop at a past employer. Even though I was familiar with the Mood Elevator, I decided to read the book as a refresher and to re-ground myself in the concepts. A significant part of being at your best is being aware of your mood because moods play a key role in our actions, conversations, encounters with others and even our perception of others. 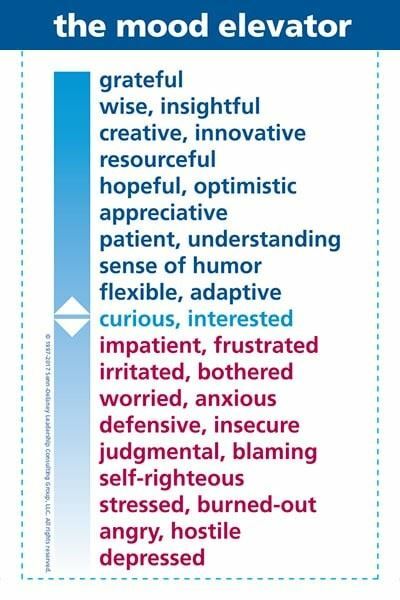 Our mood can change in just a few moments and is fluctuating throughout the day affecting the quality of our thinking. Low moods are the result of low-quality thinking and higher moods are the result of higher-quality thinking. how to escape the unhealthy normal that can get us stuck on a lower floor. You’ll learn about the power of curiosity and how approaching each situation by first asking questions will change your mood and the outcome in a positive way. I hope you enjoy this book as much as I have and find the concepts as insightful and life changing as I have. You can learn more about Senn Delaney by visiting their website https://www.senndelaney.com and follow Larry Senn on LinkedIn at https://www.linkedin.com/in/larrysenn.